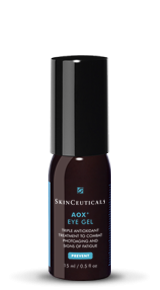 Founded in 1997, Skin Ceuticals discovers, develops, and delivers innovative dermatology products that improve the overall health and appearance of the skin. We use pure, pharmaceutical grade ingredeints with proven scientific results. Our formulations are based on optimal concentrations of active ingredients elegantly crafted into functional products - designed, formulated, and tested for effectiveness. SkinCeuticals provides complete skincare solutions through dematologists, plastic surgeons, medispas and other skincare professionals. At SkinCeuticals, achieving results means more than restoring youthful, radiant skin - it means preventing serious skin conditions, like skin cancer. Broad-spectrum UVA/UVB sunscreen fluid with color-infused sunscreen technology to provide a universal tint for all skin tones. 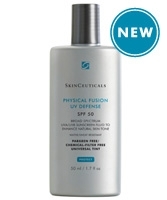 PROTECT AGAINST PHOTOAGING AND SKIN CANCER SkinCeuticals broad spectrum sunscreens feature Z-Cote® transparent zinc oxide to help protect skin from UVA rays, in addition to providing the SPF necessary to prevent sunburn and damage caused by UVB radiation. With an option suitable for every skin type, and lifestyle, a SkinCeuticals daily sunscreen provides effective protection from photoaging and skin cancer.